What Is the AKG C214? Who Is this Microphone Designed for? Conclusion: Should You Buy the AKG C214? What Are the Best Microphone Brands? What Is The Best Microphone for a Church Choir? Shure KSM8 Review: This Is Why It Is So Famous! Founded over seven decades ago, AKG Acoustics is now owned by Samsung Electronics. They primarily produce headphones, microphones, wireless audio systems, and other accessories for both consumers and the professional market. They offer incredibly high-quality equipment that is designed for users who demand quality and excellence and who are interested in affordable equipment that will provide them with the best use. Their popular microphone, the C214, is no exception and is a great representation of the quality of work this company performs and their dedication to producing high-quality equipment that musicians can rely on. 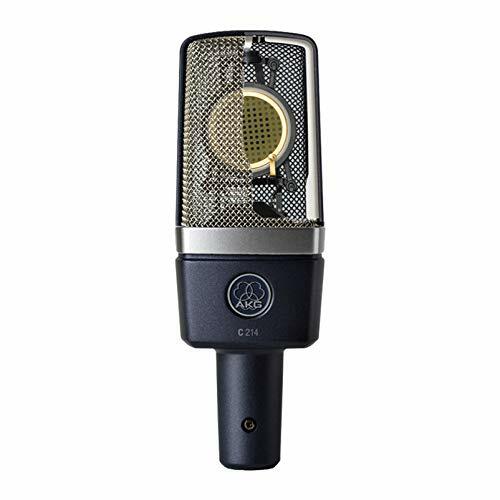 All AKG microphones are renowned for their incredible sound quality and the AKG C214 is just as well received as the other microphones produced by this company. It’s a large diaphragm condenser mic that was designed to offer incredible sound reproduction. 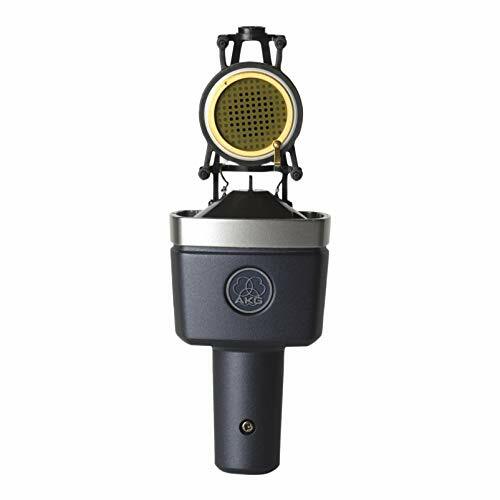 While the C414 is a very popular microphone that many professionals use, the AKG C214 is a great alternative to consider. 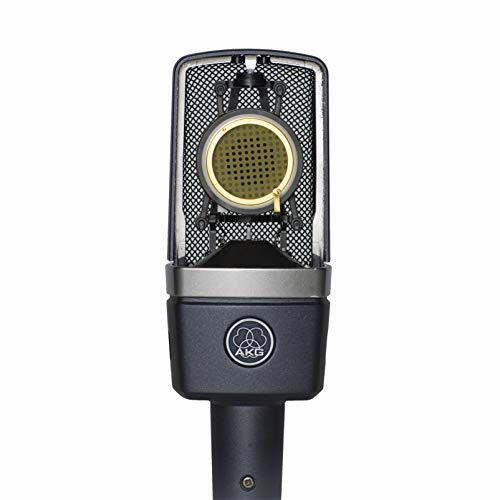 The AKG C214 has the exact same 1” capsule as the C414 but in a cardioid-only and single-diaphragm construction. This means that you get a lot of the power and control that you want from the C414 but in a more compact microphone that is significantly more affordable. This microphone was designed to easily record vocals, acoustic instruments, guitar amps, and drums. It’s perfect for use in the studio when making recordings, when performing for a live audience, or when broadcasting. Because it is such a cost-effective option for many musicians, it is very popular with people who are on a tighter budget. It’s surprisingly rugged, thanks to the high-quality design of the chassis, which means that this microphone can easily stand up to life on the road without any problems. 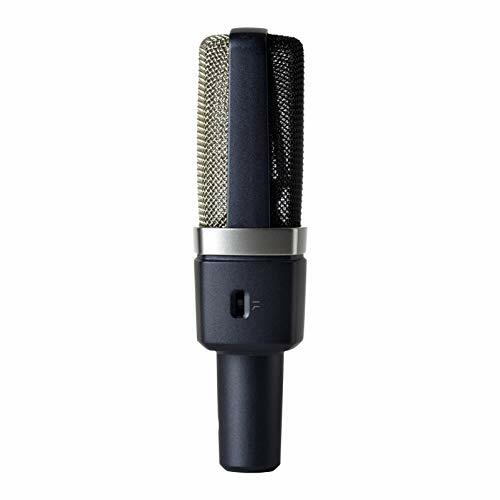 It’s also durable enough for daily use, making it ideal in a professional recording studio. Musicians with home studios will also appreciate how durable and reliable the microphone is as well as the lower price point. 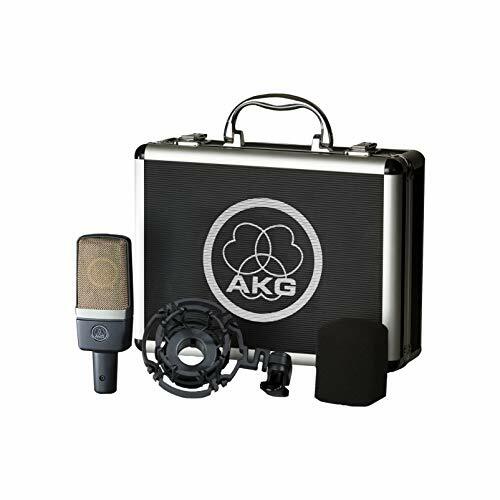 The AKG C214 ships with a carrying case that allows the microphone to fit perfectly inside. This means that musicians who spend time on the road won’t need to worry about whether or not their microphones will be damaged. It also ships with a windscreen to prevent popping when recording as well as a spider-type shock mount. This mount makes it easy to set up the AKG C214 and start recording without much delay. 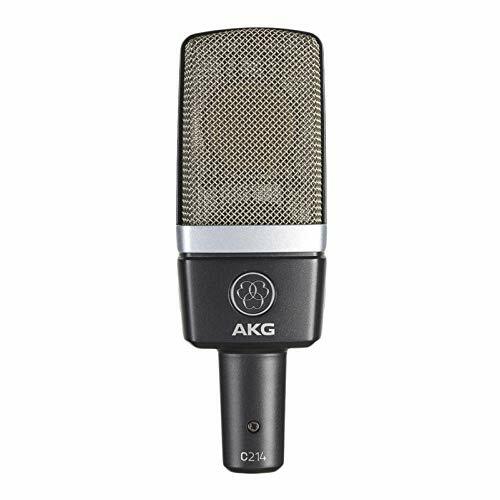 The AKG C214 is perfect for recording vocals but it doesn’t just stop there. It is also an ideal microphone for anyone who is going to be playing any number of other instruments. Because the microphone is so versatile, it’s a great option for any musician who plays a lot of instruments or who wants to set up a recording studio. The AKG C214 has a switchable attenuation pad as well as a low-cut filter, which means that it can be used in very high sound fields. This makes it perfect when you are going to mic loud sound sources such as guitar amps, drum overheads, or brass. Because it’s so versatile, the AKG C214 works in most any situation. The integrated capsule suspension of the AKG C214 does a wonderful job helping to reduce any resonance and mechanical noise. This results in incredible sonic accuracy and is one of the reasons why professionals, as well as amateurs, can get such amazing results from this microphone. Thanks to the dent-resistant metal grille of the C214, it is road-ready and perfect for gigging. The finish easily resists scratches, which means that this microphone will look great after years on the road. The gold-plated XLR output is designed to optimize sound. The bass roll-off filter does a wonderful job at removing any rumble or deep bass that you may pick up when recording. This is great for musicians who are interested in producing a cleaner sound and need to control any coloration. The AKG C214 is an incredibly popular and powerful microphone but this doesn’t mean that it is the right one for you. If you have a smaller budget but want to stick with an AKG microphone, then you may want to consider the P420. This is a powerful microphone that offers three selectable polar patterns, making it easy to choose the right pattern for your use. It also offers a high dynamic range with very little noise. Another wonderful option is the Neumann TLM 102. This cardioid condenser microphone is more costly but has a high maximum sound pressure level of 144 dB. Additionally, it features transformerless circuitry and is available in two finishes, making it easy to choose the one that will look best in your studio. 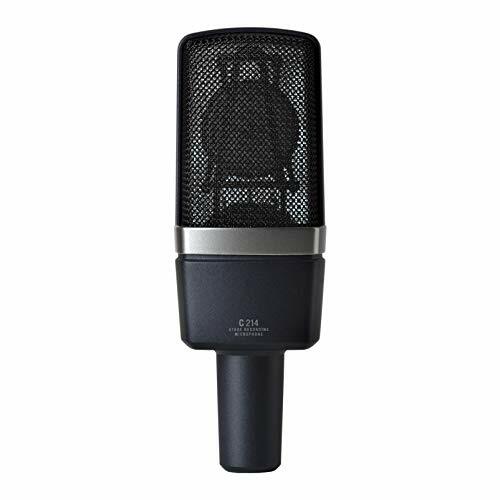 Anyone looking for a durable, high-quality microphone has probably heard of the AKG C214. No matter what type of application you need this microphone for, it is a wonderful choice for most users. It’s incredibly easy to set up and to control; with a lower price point than other AKG microphones, it’s a great option not only for professionals but also for beginners. Since the AKG C214 can be used to record any number of music or sound sources, it’s a great option for versatile musicians who are in need of a microphone that can work with them. It offers incredible sound quality and control at a great price and is one of the most popular microphones for use in a home studio or when on the road. Just as with other AKG microphones, when you opt for the C214, you will enjoy years of dedication and hard work, resulting in a durable microphone that you can trust not to let you down. 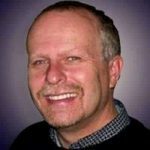 Are you looking for the best wireless mic system for your church? Check out this honest review of the best wireless mics for church.